Welcome! Linda Marino is an award winning artist and instructor from Branford, Connecticut. 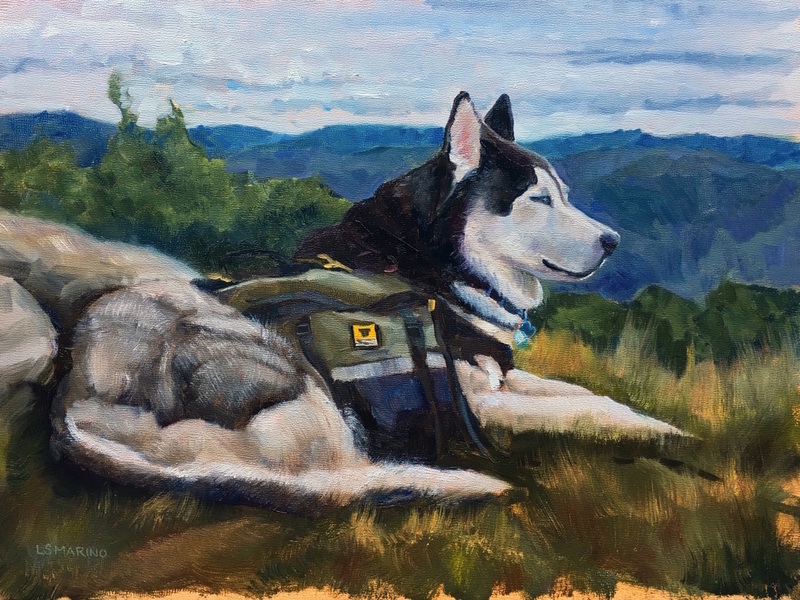 For over 25 years Linda’s been creating original paintings in oils, acrylics and watercolor in a variety of subjects from landscapes to seascapes, animals, still life paintings, figurative and custom commissions of pets and homes. Linda’s art has won numerous awards in local and regional shows as she continually seeks to discover her unique perspective of this colorful world we live in. Looking for art instruction? You’re definitely in the right place! Linda's passionate about teaching art. Her energetic personality and enthusiasm make learning enjoyable and fun. Whether in a more traditional academic art school setting or the popular “Painting Parties” Linda loves to share what she knows and encourages her students every step of the way to develop their artistic skills and follow their dreams. Having taught hundreds of students her easy to follow, step by step method she is confident that anyone with a positive attitude and willingness to learn can definitely not only learn to paint.- but succeed in creating amazing works of art! Whether you're looking for a special original paintings for your home or seeking art instruction, I’m glad you’re here! View latest paintings of the seashore, coastal living, boats, harbors, waterscapes of Connecticut and New England. Original artwork created in oils and acrylics. View latest paintings of garden scenes, farms, country roads, charming villages, of Connecticut and New England. Original artwork created in oils and acrylics. Looking to capture your pet in a one-of-a-kind original portrait painting? I have been painting custom pet portraits for over 6 years now - mostly dogs, but I also paint cats, horses and chickens. 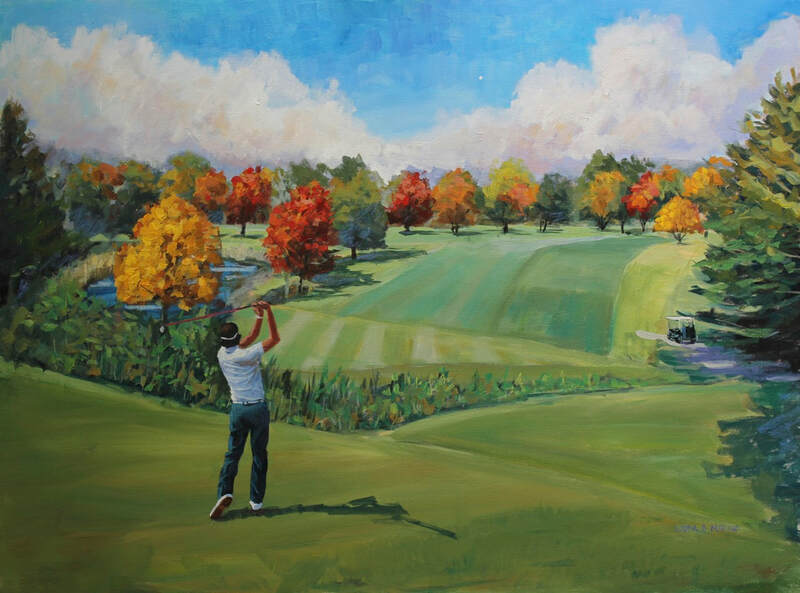 Each painting is hand painting using the finest materials in oils or acrylic painting or high quality canvas. "We absolutely love this painting, Linda. You really captured the essence of Apollo. He loves hiking and being in the mountains. The photo this is based on was taken on what was probably his last big hike. He's 15 now and doesn't have the strength in his legs to get up the mountains anymore. This is how we'll remember him long after he's gone. King of all that he surveys..."
Interested in an original painting or a commissioned work of art? Learn the fundamentals of painting outdoors on location. Sign up for individual sessions. Meets twice a month at different locations. It's always fun to connect with fellow artists, friends, art lovers, art collectors or students - share ideas, get inspired -here's a few places we can connect on social media. or Sign up for my monthly newsletter to be delivered right in your inbox - let's stay connected along this colorful and creative art journey! Whether painting in my studio or outdoors, I strive to create paintings that communicate confidence in execution and exhibits a fresh, intuitive and unique perspective. Seeking to interpret the world in a way that will not only inspire others but to evoke or suggest images, memories, and emotions. For me, painting is a way of communicating, connecting with others and a never ending journey of discovering and exploring. Check out this short clip which aired on WCVB Channel 5 Boston on Mon. 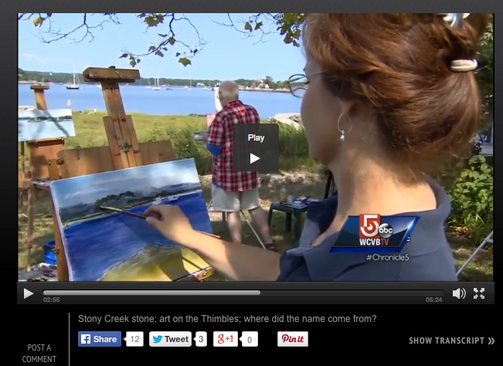 Sept 22, 2014 - Painting on the Thimble Islands - yup.. that's me.. mixing my paints!